The Rev. Merritt Max Wright, 94, Topeka, passed away Sunday, Jan. 25, 2015, at Emporia. He was born Feb. 21, 1920, at Oklahoma City, Okla., the young­est of two sons born to the Rev. Herbert Thomas and Eda Zeloa (Young) Wright. He grew up in rural Bellevue Community just north of Leona and in Hiawatha. Following graduation from high school in Wakefield in 1937, he attended Kansas State University for one year, and then transferred to North Central College in Na­perville, Ill., where he graduated in 1941. He graduated from Evangeli­cal Theological Seminary of Na­perville, now Garrett-Evangelical Theological Seminary of Evanston, Ill., in the spring of 1944. The Rev. Wright was a minister of the Evangelical United Breth­ren/United Methodist Church, and member of the Kansas East Con­ference, having served 44 years in the ministry at the time of his re­tirement in June 1985. 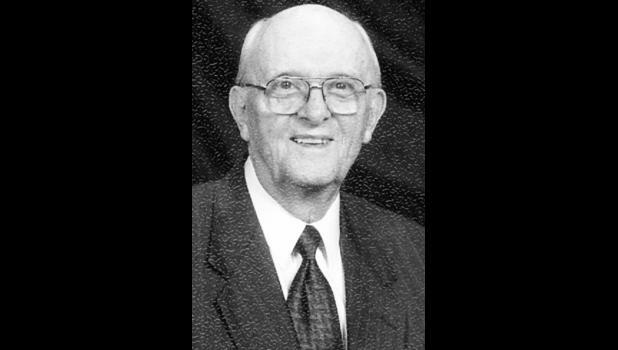 He had pastorates in Bern, Yates Center and Turkey Creek, Holton Evangel; served as District Superintendent for the Topeka District (EUB) and the Independence District (UM) for seven years, and pastorates at Highland Park Topeka and Shawnee (Johnson County). He was privileged to represent his conference as a member of the General Conference seven times, served on the General Commission on Religion and Race for four years, and the Curriculum Re­sources Committee for eight years. Following retirement, he and his wife moved to Aldersgate Village, where he was actively involved in various leadership roles. The Rev. Wright served as Pastor of Visita­tion, sang in the Chancel Choir and taught Sunday school at Crestview United Methodist Church. On Sept. 5, 1943, he married Marie Leta Ehlers in Kansas City, Mo. She preceded him in death in 2005. He was also preceded in death by a brother, Robert R. Wright, M.D. Survivors include a son, Dr. Kendall M. Wright and wife Mar­garet of Emporia, daughter, Kath­leen M. Brittenham and her hus­band Steve of Wolcottville, Ind. ; and son, Dr. Keith A. Wright and his wife Sue Ann of Manhattan; nine grandchildren; and 12 great-grandchildren. Memorial services will be held at 11 a.m. Saturday, Feb. 7 at Crest­view United Methodist Church, 2245 Eveningside Drive, Topeka. Visitation will be held from 10 a.m. to 11 a.m. Saturday, Feb. 7 at the church. Private family inurnment will be held at Mount Hope Ceme­tery, Topeka. Memorial contributions may be made to Aldersgate Village, 7220 SW Asbury Drive, Topeka, KS 66614; or Holiday Resort, 2700 W. 30th, Emporia, KS 66801.